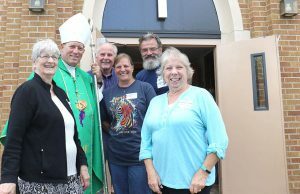 During the Jubilee Year of Mercy, five days Saturdays were designated Pilgrimages of Mercy. Each of the five deaneries hosted the day long event which included a talk, prayer, reconciliation, Mass and a healing service. 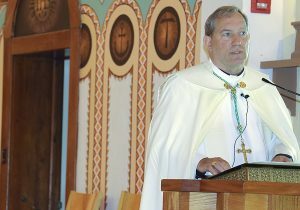 Click to watch Father Christopher Johnson, SJ, present “Rich in Mercy” at Holy Rosary Church, Pine Ridge. 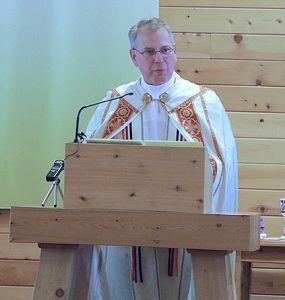 Click to watch Bishop Robert Gruss present “Mary, Mother of Mercy” at Holy Cross Church, Timber Lake. 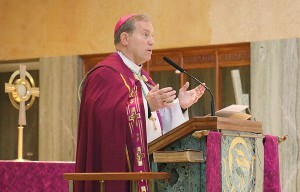 Click to watch Bishop Robert Gruss present “Eucharist and Holy Communion” at St. Francis Mission. Play list also includes Fr. John Hatcher, SJ, and Deacon Ben Black Bear, Jr., presentations. Click to watch Bishop Robert Gruss present “Reconciliation and Forgiveness” at the Cathedral of Our Lady of Perpetual Help, Rapid City. 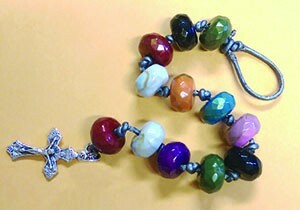 At the first pilgrimage event each pilgrim received a cord with a crucifix and the first beads to begin the chaplet. Additional beads were available at all other pilgrimages. Suggestions for how to use the beads to pray for mercy were handed out with the beads to remind pilgrims to pray and sacrifice.